← Amy Goodman interviews Tavis Smiley, Cornel West on the 2012 Election & Why Calling Obama “Progressive” Ignores His Record. Democracy Now: Friday, November 9, 2012. Citing “multiple issues with the products”, the Minnesota Department of Revenue has posted an “important notice” on its webpage advising tax payers and tax preparers not to use Intuit tax software, including TurboTax, Lacerte, Intuit online, ProSeries. It warned that use Intuit’s tax software could “jeopardize the accuracy” of one’s tax return or “delay”one’s return. According to Jane Friedmann of the “Whistleblower”, Terri Steenblock, an assistant commissioner of Minnesota’s Department of Revenue, said there were multiple issues with the software including assigning political contributions to the wrong party, failing to give an education credit for multiple dependents, incorrectly calculating property tax refunds, and a variety of other calculation errors. Some of these issues surfaced just in the past several days. The Minnesota Department of Revenue found these errors “unacceptable”. The Minnesota Department of Revenue advises you not to use Intuit (TurboTax, Lacerte, Intuit online, ProSeries) to file your Minnesota taxes electronically or on paper. Intuit has discovered multiple issues with their products. The issues could jeopardize the accuracy of your return or delay your refund. Have NOT prepared or filed your return ? File using a different software product. See a list of approve vendors below. Prepared your return using Intuit but did not file? Wait to file until Intuit communicates the problems are corrected.? Have filed your return using Intuit? Call Intuit at 1-866-888-4609. The Department of Revenue is not affiliated with Intuit and we find these errors unacceptable. We expect Intuit to correct these problems immediately. If they fail to do so, the department will stop processing returns filed using Intuit. This entry was posted in Accountants CPA Hartford and tagged calculation errors found in Intuit tax software, Department of Revenue advises against using ProSeries, Department of Revenue advises against using TurboTax, Department of Revenue finds errors in Intuit software unacceptable, Intuit online, Lacerte, Minnesota Department of Revenue, multiple issues with Intuit tax software, ProSeries, The Minnesota Department of Revenue advises you not to use Intuit to file your tax returns, thinking of using TurboTax to file tax return, Thinking of using TurboTax to file your tax returns? Think again. 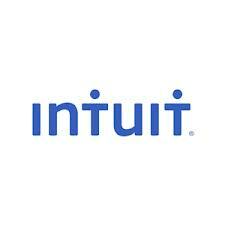 The Minnesota Department of Revenue advises you not to use Intuit to file your tax returns!, TurboTax. Bookmark the permalink. 2 Responses to Thinking of using TurboTax to file your tax returns? Think again. The Minnesota Department of Revenue advises against using Intuit software to file tax returns! I don’t blame them, if they’re filing everything incorrectly it costs the state money so they might as well issue this warning. Every time I use ProSeries, everything is extra now.